AIRBORNE PIPELINE AERIAL FIREFIGHTING AND IRRIGATION. 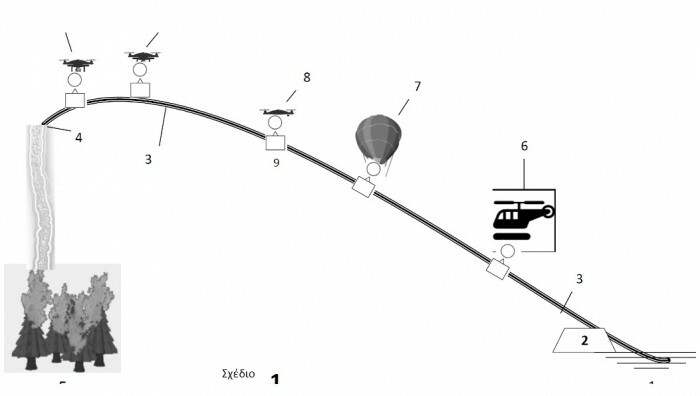 The main idea of the invention is to use a long flying pipeline to deliver water to a forest fire. Another use could be to irrigate large areas in emergency situations. Our solution to transfer water with av airborne pipeline is several thousand times more efficient. A typical 16-inch plastic pipe gives a water flow of s 7281 m3 per hour or 2427 times more water on target than the helicopter. The general functionality of the invention is very simple. The water is elevated from the basin with the pumping station through the long pipeline. It finally ejects water from the pipeline endpoint to the forest fire. The crucial difference is that the pipeline flies above the hills hanging from hundreds of drones. Market potential is the multi billion market of forest fire fighting. Not marketed before no contract to anynone. After April I start to integrate it with Greek Armed Forces. 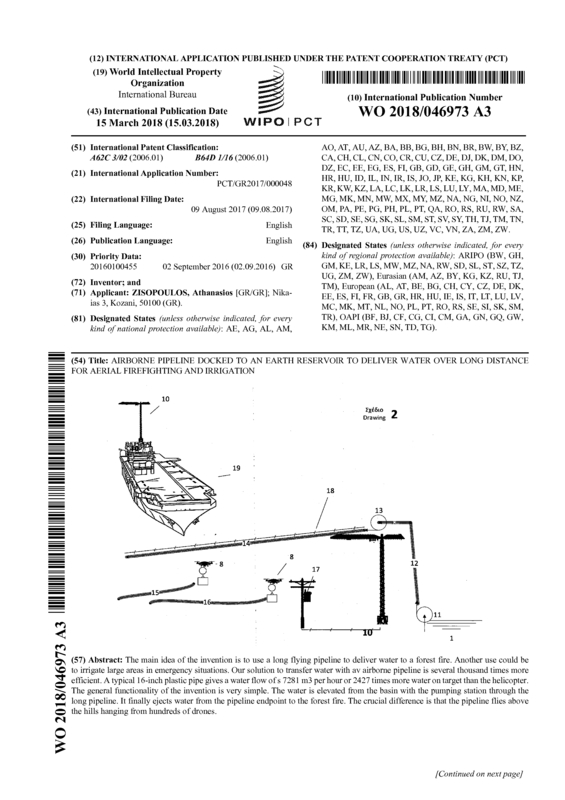 Page created at 2019-04-23 6:36:16, Patent Auction Time.